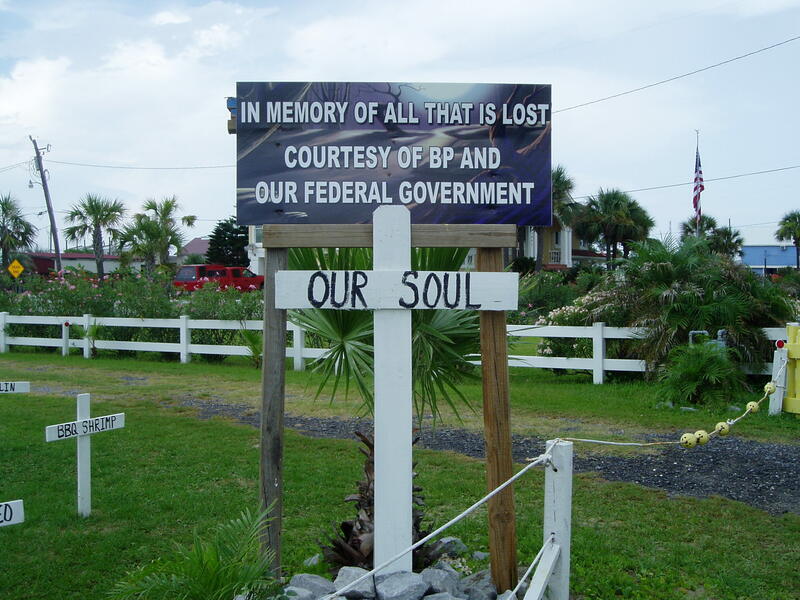 It has gone largely unnoticed that BP has another spill on their hands, this time its even closer to home. A minimum of 15 barrels or maybe 39 have spilled into Lake Michigan outside of an Indiana refinery; it’s never clear exactly how much oil is ever spilled since BP has a track record of down playing just how big its accidents are. While the leak has been plugged, its still probably a good time to stop and think about how well we trust companies like BP and their ability to protect the areas within which they work. Lake Michigan supplies the clean drinking water for almost 7 million people in the Chicago area alone and residents in that area have already attempted to curb the amount of dangerous materials which the refinery spews into the Lake. This issue is not just important because this is a trend with oil and and other extractive industries, but because this trend involves the contamination of drinking water. As anyone who as had junior high science class understands that most of Earth’s water is saline and undrinkable. Michigan’s Great Lakes are all fresh, created by glacial melt during the last ice age. Michigan is also my home, where I get my drinking water, and where I spent my youth boating in those lakes. But for a while I called Louisiana home, and unfortunately I get to see the damage of a much larger oil spill. When the Deepwater Horizon exploded in 2010 killing 11 workers and leaking for over 4 months, I was living in Baton Rouge. 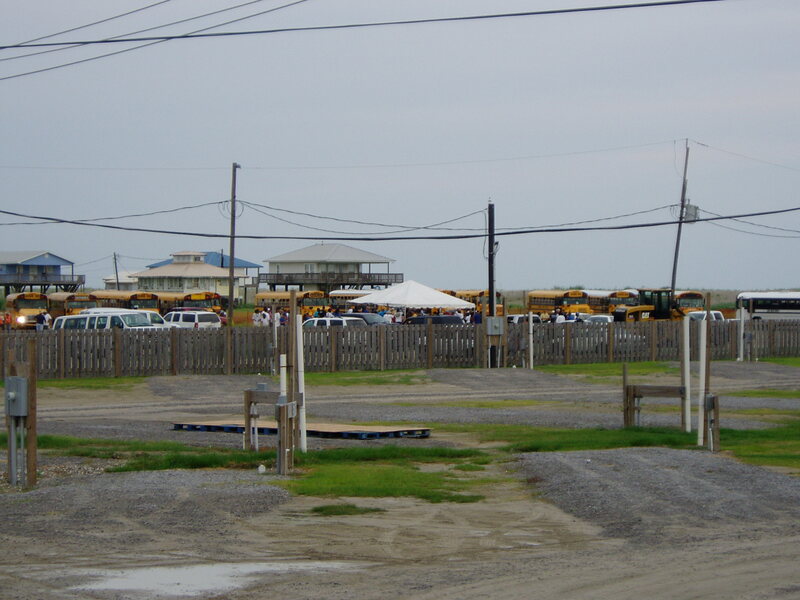 I took a short field trip down to the shore in Grand Isle, LA to check out the progress. Workers came in and out on old school buses, I was told that many were ex convicts who could make a quick buck and were less concerned about the possible side effects of working so close to hazardous substances. I was also told they got really rowdy at night and the few remaining residents did not feel safe there anymore. BP paid to rent out the rooms at a local marina (where I decided to stay for a night) for their clean up workers, but made the owner sign a clause which also kept them from being responsible for any damage caused by such workers. The owner only conceded because after the spill and until there was any settlement with BP, she still needed the business. It was not an easy decision. I remember going to the coast and thinking I was so lucky to grow up on the Great Lakes where I didn’t have to live in the shadow of the dozen or so drilling platforms I saw on the horizon. Now, however, that luck is really in the past. Until companies value their impact as much as their profits, nothing is safe. Charleston West Virginia’s drinking water was recently contaminated by a chemical spill and traces of the toxins are still being found in the tap water. Even with all of the ecological and economic damage done to the Gulf coast, no one needed to drink from it. Call attention to this, and please support the members of Congress calling for stronger regulations. 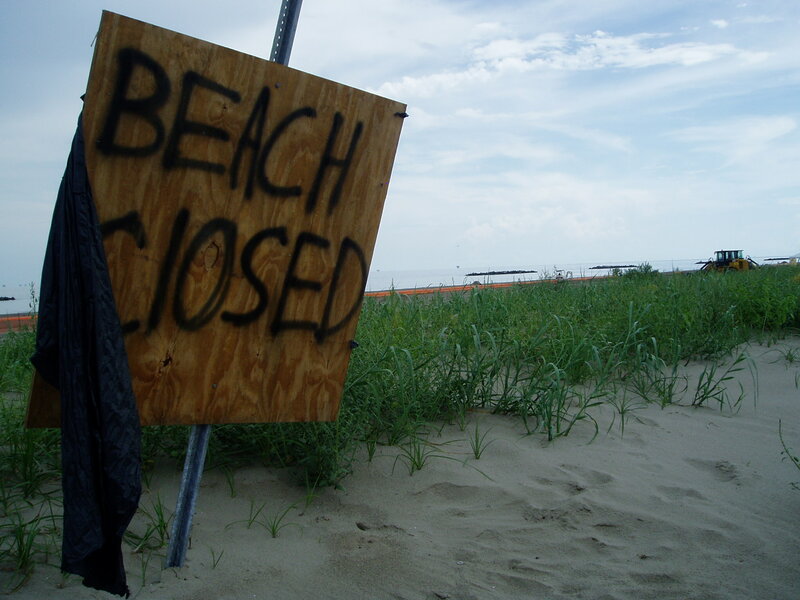 Even when things seem better, you can never be sure; I took a day to the beaches of Mississippi just East of Biloxi the following summer and ended up swimming in some tar balls.